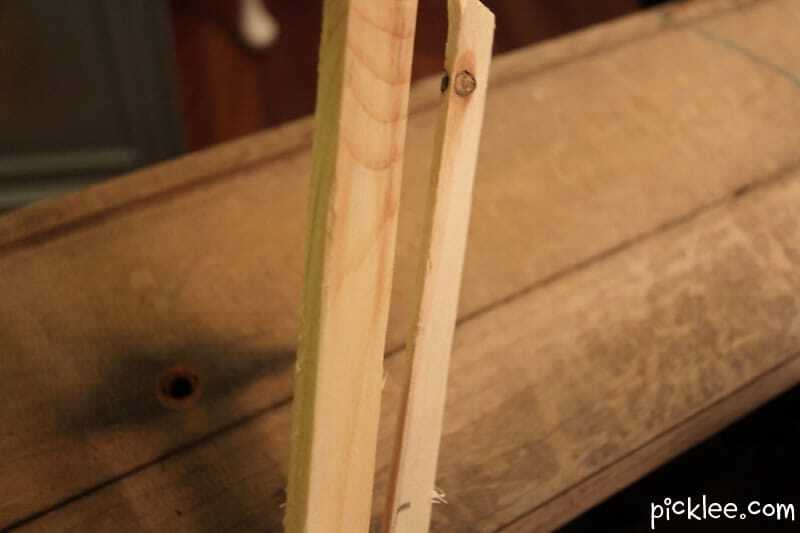 Using a staple wood glue first, then a staple gun, attach the strips of wood (the thinner piece overlapping the thicker piece) onto your shelf. 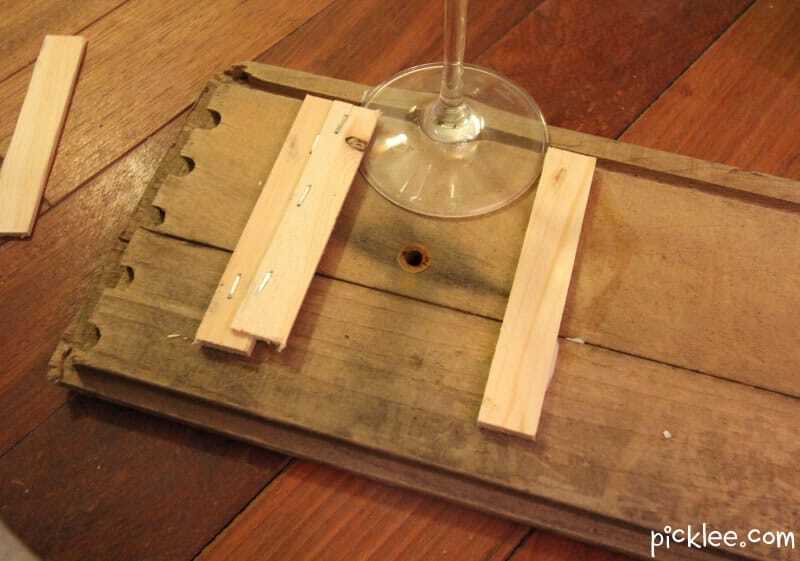 Use a wine glass to make sure that you space the hangers appropriately. 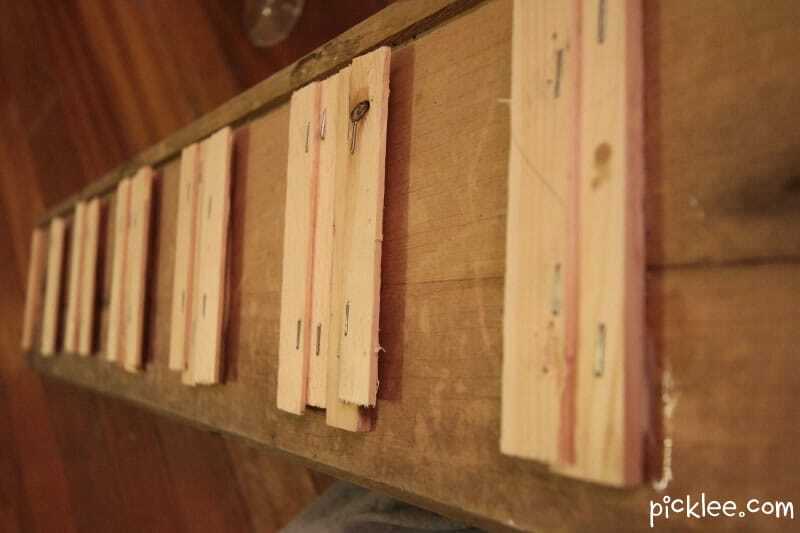 * Make sure to leave a space for mounting your shelf brackets, I chose to mount my brackets on the far outside ends of my shelf so I left approx. 4″ on both sides. 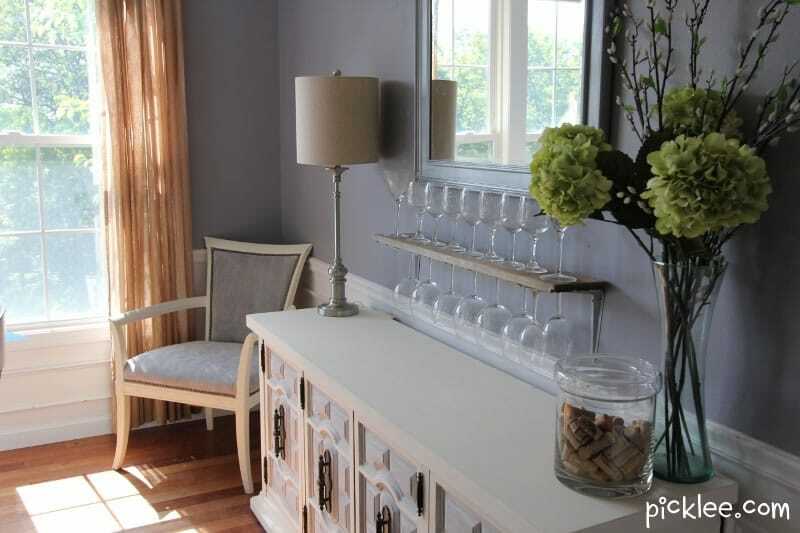 Mount your shelf brackets in the space you originally allotted for them. 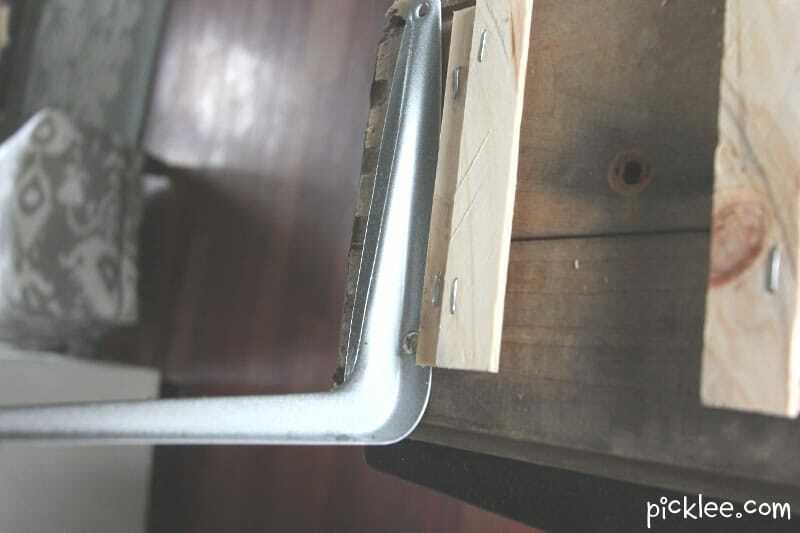 I choose to use basic, industrial shelf brackets (purchased at Home Depot), I spray painted them hammered nickle to give them a more rustic, industrial look. 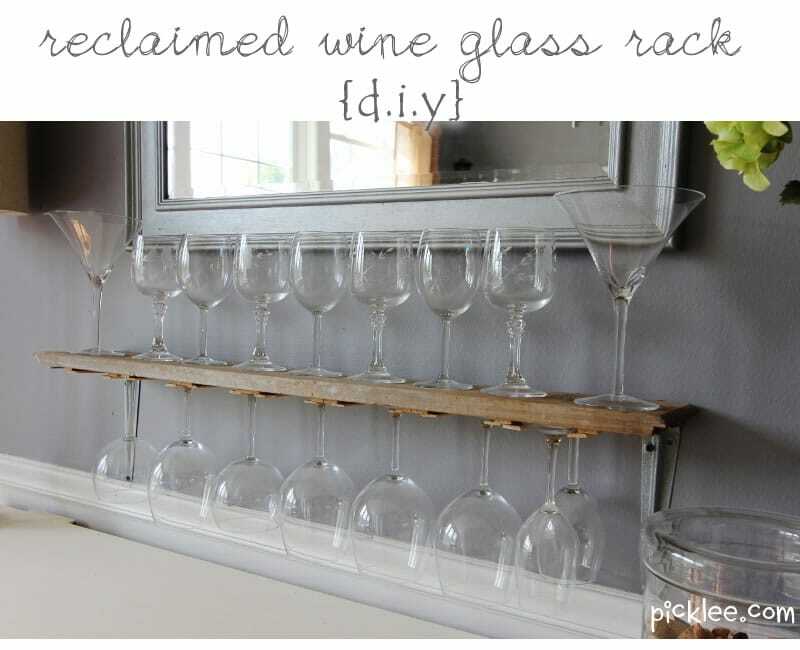 Mount your shelf to the wall and enjoy your Reclaimed Wine Glass Rack! 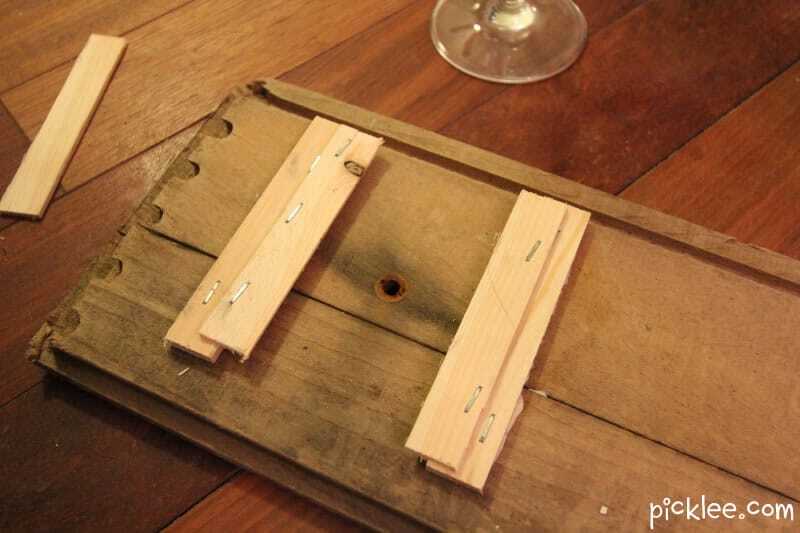 How do you finish off the cut part of the wine bottle after it has been cut. Mine are jagged and sharp.